Barrow Street Theatricals has announced a talent-packed new slate of rotating guest actors for the American premiere of Nassim by celebrated Iranian playwright Nassim Soleimanpour (White Rabbit Red Rabbit), featuring direction by Omar Elerian. 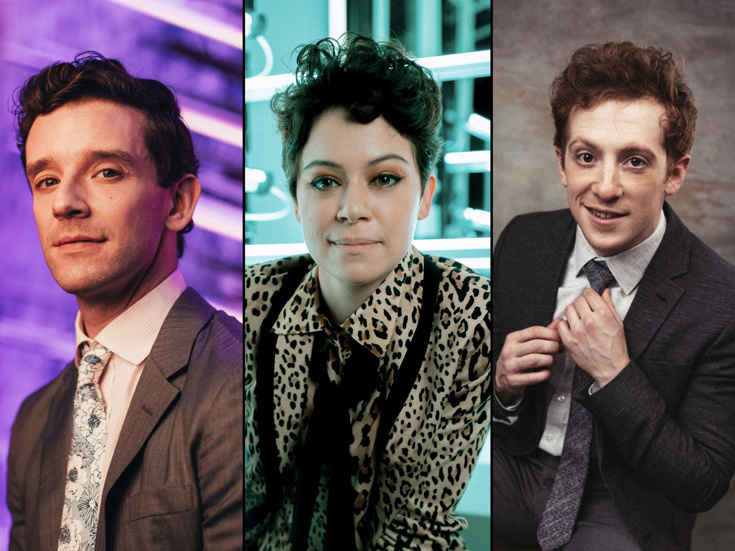 Among the lineup of stars is Obie winner Michael Urie (Torch Song), Emmy winner Tatiana Maslany (Network) and Tony nominee Ethan Slater (SpongeBob SquarePants). The full list of upcoming guest stars is below. Nassim uses theatrical devices to explore the power of language, with a special guest star appearing at every performance. Barrow Street Theatricals, formerly Barrow Street Theatre, has moved uptown to City Center just for this production, which began previews on December 6 and opened on December 12. Additional rotating guest actors will be announced soon. The American premiere of Nassim Soleimanpour’s new work.